Never has a website promoting scripture engagement looked so sweet. 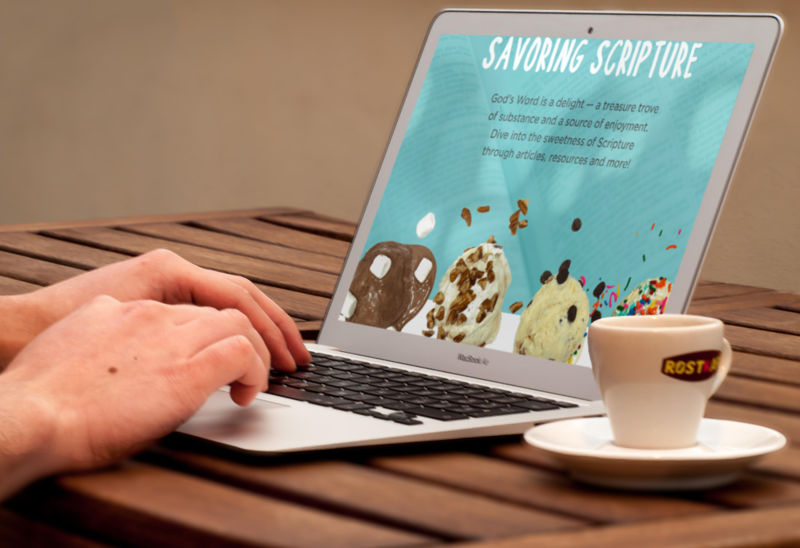 The eye-popping Why.Bible site reminds us that God’s Word is a delight and a source of enjoyment, just like ice cream! With beautiful images and fun colors, this is the home of Wycliffe’s annual, global conversation about why the Bible matters in our lives. The site offers resources, articles, and even an e-book that reminds us how rich and exciting the Bible can be. Young and old can benefit from these reminders to slow down and actively engage with God’s Word, and not just breeze through it. Every September, supporters across the world celebrate Bible Translation Day, where a light is shone on the power of scripture. It was made official in 1953, and takes place on the Feast of Jerome, September 30, as he was the first person to translate the entire Bible. On the celebratory day, #WhyBible trends in translation circles, sharing stories about the impact of Scriptures in our lives, especially those who have been changed by reading the Word in their heart language. And for those who want to deeper dive, there are articles and Bible videos, all promoting Bible study. There’s instruction on healthy practices like Praying Scripture Back to God and Why You Shouldn’t Skip the Less Exciting Parts of the Bible. There are also additional Bible study helps and solid devotionals offered, too. Through the site, one is left motivated and encouraged to crack open the Bible and experience its sweetness. What’s your Bible study method? Leave us a comment and share how you study the scriptures. We’d love to hear from you! It’s never too late to update your domain name. Register today for a .BIBLE website and get 50% off the standard rate.